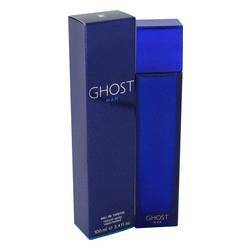 Tanya Sarne had headed a series of companies over 20 years, and Ghost has been the most successful one. She was born in 1949, the daughter of a French-Jewish mathematician who escaped from the Nazis to London during the war. Her mother was a Romanian journalist. ... Read More When a small child, she was the subject of a Pathe Pictorial film called "Cindarella" detailing a young girl's progress through a modeling school. Tanya herself modeled from the age of 14, took up go go dancing in Knightsbridge and did a screen test for director Rossano Brazzi in Rome. She turned down films and came home to London and entered Sussex University. She married pop star Mike Sarne. After traveling in the United States, South America and Europe, she started a business in 1976 imported Peruvian alpaca knitwear. She introduced the Scandinavian labels In Wear and Laize Adzer to the UK market and in 1978 established her own sportswear lin MIZ. In 1985 she and designer Katharine Hamnett, gave her new company it's name, Ghost. The name stems from a remark that "it doesn't stand a ghost of a chance." She now runs her million-pound empire which has turned into a high-status label before her very eyes. Tanya designs the hugely successful line of summer dresses which Marks and Spencer sells. She has developed a technique and a look that is never out of fashion and has both uniqueness and longevity. She thinks about the proportions of real women, not underfed models. Ghost makes loose, flowing separates that can be added to each season. Made from woven viscose yarns, the clothes are designed before dyeing and are cut larger to allow for the shrinkage process. The result is a vintage crepe-type fabric. Many of the clothes have elasticated waists. Long waistcoats, trousers with wide and narrow legs, tunics and A-line skirts, are all popular Ghost pieces. There are 9 Ghost stores in the U.K. one on Bond Street, New York, and a flagship store in Los Angeles. Tanya Sarne had headed a series of companies over 20 years, ... Read More and Ghost has been the most successful one. She was born in 1949, the daughter of a French-Jewish mathematician who escaped from the Nazis to London during the war. Her mother was a Romanian journalist. When a small child, she was the subject of a Pathe Pictorial film called "Cindarella" detailing a young girl's progress through a modeling school. Tanya herself modeled from the age of 14, took up go go dancing in Knightsbridge and did a screen test for director Rossano Brazzi in Rome. She turned down films and came home to London and entered Sussex University. She married pop star Mike Sarne. After traveling in the United States, South America and Europe, she started a business in 1976 imported Peruvian alpaca knitwear. She introduced the Scandinavian labels In Wear and Laize Adzer to the UK market and in 1978 established her own sportswear lin MIZ.